Deer Creek Disc Golf Complex – Coming Soon! 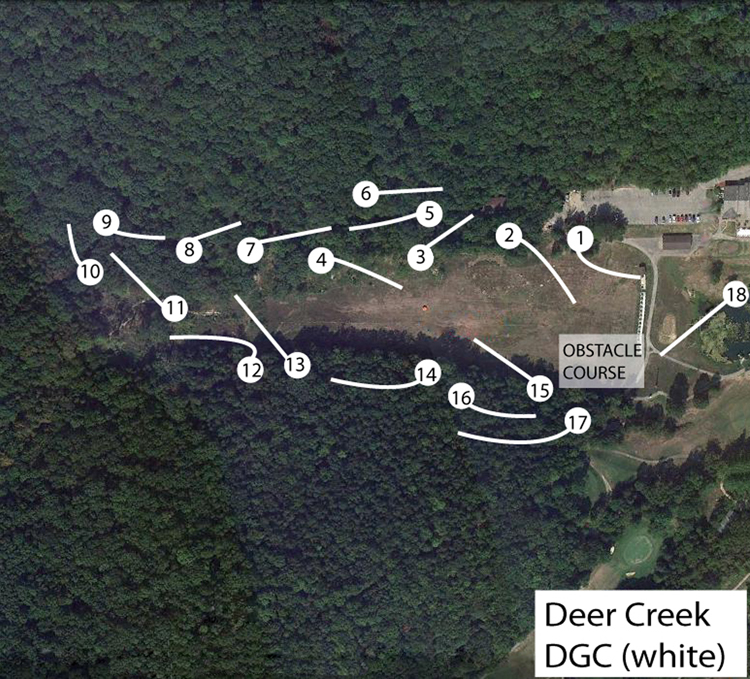 Home »Disc Golf»Deer Creek Disc Golf Complex – Coming Soon! Deer Creek Disc Golf Complex in House Springs, Missouri is under construction! Currently, 18 holes on the “WHITE” course are in but the course is still being cleared out and is not yet open to the public. This is the first of 3 pay to play course at this site. This “white course” is very similar to our Akita’s Run course in Vichy, Missouri with lots of cool tunnel shots, pin placements and elevation changes. All holes on this course are par 3 and range from 180-350 feet. Don’t let the short distances fool you, this is a challenging course that is very fun to play. There will be 2 sets of tees on this course, it combines tight technical holes and open shots in and around the old, dry lake with the 18th hole over an actual pond. The cost to play is still being determined (most likely $3-$5 per round). If you would like to check out the course for free, or help with the course clean out,contact David at 314-303-1488 to arrange a time. ← Previous Previous post: NEW GLOW EVO WIZARDS!!! EXTREMELY LIMITED SUPPLY! Next → Next post: Disc Golf is coming to Florissant, MO!! Definitely looking forward to playing here! Any news on when it’ll be ready for play?